If you don't like Google following your searches or you simply want to check how some search keywords rank on Google without the need to clear your cache and log off from Google account, then this is for you. 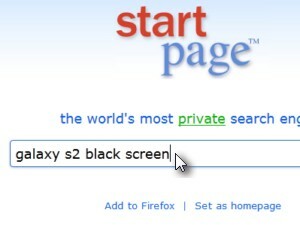 Click here to open the Startpage search website. On the Startpage search field simply enter the search keywords you would usually enter in Google and press Enter. 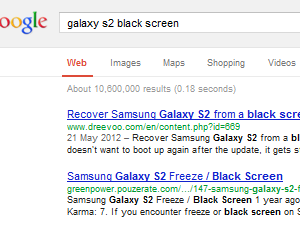 The same search result show up bellow the same way they would show up in Google which is natural, as Startpage is using the Google search engine. 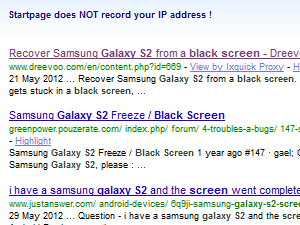 According to Startpage: "Startpage, and its sister search engine Ixquick, are the only third-party certified search engines in the world that do not record your IP address or track your searches"
If you now enter the same search keywords in Google you get the same results, for those who might be skeptical about the search quality of Starpage. What does Google do with our search data? Google gathers all the data across their services like Gmail, YouTube, Google+, Blogger,... to personalize your Google experience including search results and ads. This goes mostly for the users that are signed in to Google. If you don't have a Google account or you are not signed in to Google they can still track some of your activity by giving your browser a so called cookie so the Google can anonymously track the activity on Google services for as long as the cookie is active, meaning until you clear the cookies on your web browser.